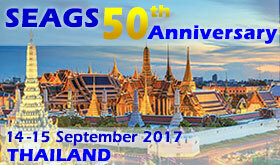 SEAGS‐AGSSEA Journal is an open access, specialized, peer‐reviewed, Journal for SEAGS (Southeast Asian Geotechnical Society) & AGSSEA (Association of Geotechnical Societies in South East Asia) that focuses on research, development and application within the fields of geotechnical engineering and technology. Published four times per year, it tries to give its contribution for enhancement of research studies. Contributions must be original, not previously or simultaneously published elsewhere. Accepted papers are available freely with full‐text content upon receiving the final versions, and will be indexed at major academic databases. • Papers should be written in English. • All articles are sent for blind peer review,with a fast and without delay review procedure. • Submitted papers should follow the format of the sample article attached. • Submissions are accepted via e-mail.